Posted in: Business, Enterprise, Mobile. Tagged: BlackBerry, Enterprise Mobility, RIM, RIMM. 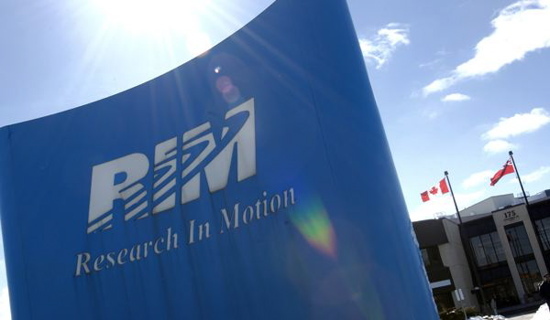 While RIM is growing in other countries, Heins conceded that its U.S. business is in need of a major revival after losing out to rivals like Apple Inc’s iPhone at U.S. service providers and corporations, where it once had a clear advantage among employees heavily dependent on its email service. Most of the (negative) attention RIM has received lately is mostly US-centric, where we are seeing competitors such as Google and Apple’s handset sales skyrocketing. What I find interesting is in emerging markets such as Indonesia, Blackberry handset sales are actually growing quickly, even compared to it’s primary competitors. Take a look at the graphic below which shows growth in Indonesia vs. the US over the past several years. Competitor’s handsets such as the iPhone have high-end internals such as hi-res cameras, hi-res displays, dual-core processors etc. and the margins are much tighter in countries with reduced buying power. The other thing to think about is infrastructure – developing nations do not have the extensive mobile broadband networks that we do in the US and Blackberry handsets use far less data than Google or Apple-based smartphones. In summary, I think RIM has lots of work to do to attempt to regain market share in the US but they are certainly not dead and will be around for some time. Many enterprises (specifically in the Financial/Insurance industries) are still heavily reliant on RIM’s handsets and the security that goes with them. There was also an interesting point in the Reuters article stating only 20% of US Blackberry customers are using the latest handsets, so this will certainly be a goal for them in terms of refreshing devices and making sure it’s customers are on the latest software versions.